Cape Town - The Welwitschias earned their maiden Currie Cup First Division victory on Saturday in an action-packed round as defending champions, the Griffons, registered their second victory in a row. The team from Namibia got off to a strong start against Eastern Province in Windhoek as they played their way to a 23-8 lead, which they built on after the break for a 51-25 victory. In total they scored six tries, two compliments of winger Johan Tromp, while flyhalf Theuns Kotze kept the scoreboard ticking with his accurate goal-kicking, which earned him six conversions and three penalty goals for a personal total of 21 points. The visitors tried hard to keep up and their efforts paid off with three second-half tries, but this was only enough to secure them a bonus point from the match. The Griffons, meanwhile, produced a solid second-half display against the Valke to secure a 34-19 victory in Vanderbijlpark as they scored five tries to three by the hosts. The first half was hard-fought as the teams each scored 12 points, but the Welkom side capitalised on their chances in the second half to break away on the scoreboard, while their determination on defence limited the Valke to scoring only one try after the break. The victory for the Griffons means they are the only side to have won both their matches. In Montagu, a hat-trick by Leopards No 8 Jeandre Rudolph and a brace by replacement back Gene Willemse steered the Potchefstroom-based Leopards to a valuable 47-26 away win against the Boland Cavaliers in what marked their first win of the season. The hosts started the clash strongly and took a 19-14 lead at the break, but the solid Leopards defence limited them to one try in the second half, while they found their rhythm on attack to add five tries for a total of seven for the day. The SWD Eagles delivered a solid performance on attack and defence against the Border Bulldogs in George as they crossed the chalk five times to secure a 41-20 victory, with fullback Leighton Eksteen making a valuable contribution of 21 points thanks to a try, five conversions and two penalty goals. The win marked SWD’s first of the season, while Border suffered their second defeat in as many games. Welwitschias - Tries: Rohan Kitshoff, Thomasau Roberto Forbes, Johan Tromp (2), Lesley David Klim, Christo Van der Merwe. Conversions: Theuns Kotze (6). Penalty Goals: Theuns Kotze (3). Eastern Province - Tries: Anele Lungisa, Zingisa April, Ivan Du Preez, Riaan Allister Arends. Conversion: Sonwabo Majola. Penalty Goal: Sonwabo Majola. Valke - Tries: Warren Potgieter, Don Mlondoboz, Coert Frederick Cronje. Conversions: Christian Rust, Warren Potgieter. Griffons - Tries: Louis Venter, Gaun Kotze, Duan Pretoruis, Vuyo Mbotho, Selvyn Davids. Conversions: Duan Pretoruis (3). Penalty Goal: Duan Pretoruis. Boland Cavaliers - Tries: Ludio Williams, Adriaan Carelse, Clemen Lewis, Penalty Try. Conversions: Divan Nel (2), Penalty Conversion. Leopards - Tries: Jeandre Rudolph (3), Gene Willemse (2), Bradley Moolman, Schalk Hugo. 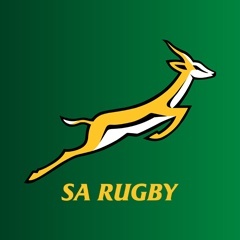 Conversions: Gerhard Nortier (4), Schalk Hugo (2). SWD Eagles - Tries: Freginald Africa, Janneman Stander (2), Leighton Eksteen, Marlou van Niekerk. Conversions: Leighton Eksteen (5). Penalty Goals: Leighton Eksteen (2). Border Bulldogs - Tries: S'bu Ncanywa, Lelethu Gcilitshane. Conversions: Xolela Mbembe Payi (2). Penalty Goals: Bangi Kobese (2).